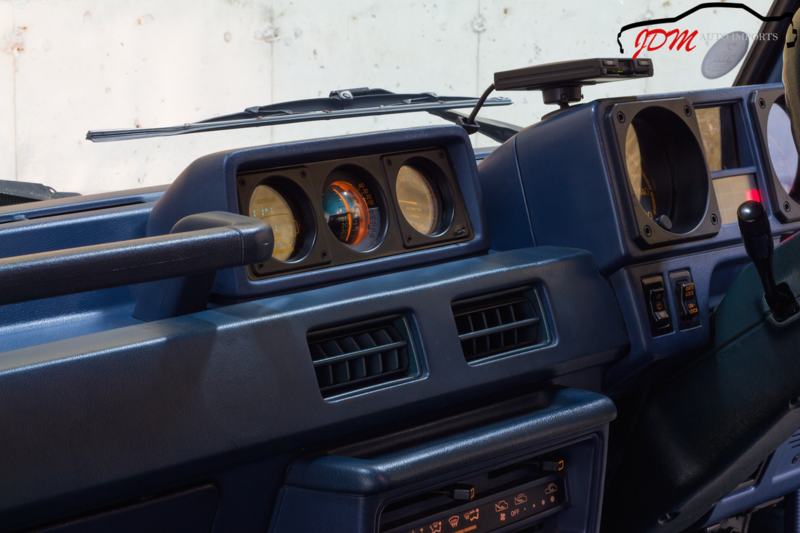 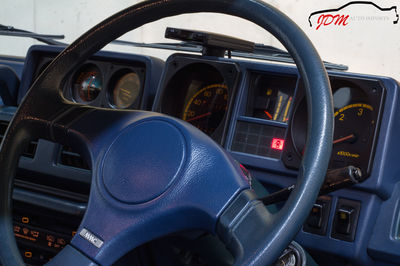 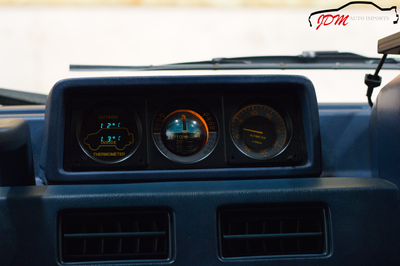 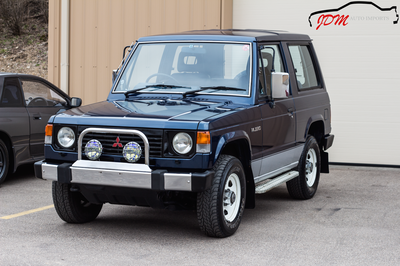 The first generation of the Mitsubishi Pajero debuted at the Tokyo Motor Show in 1981. 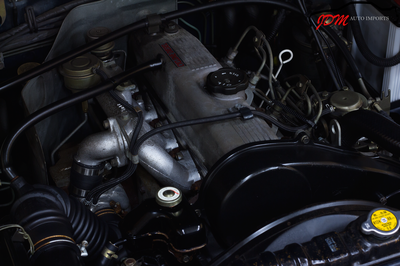 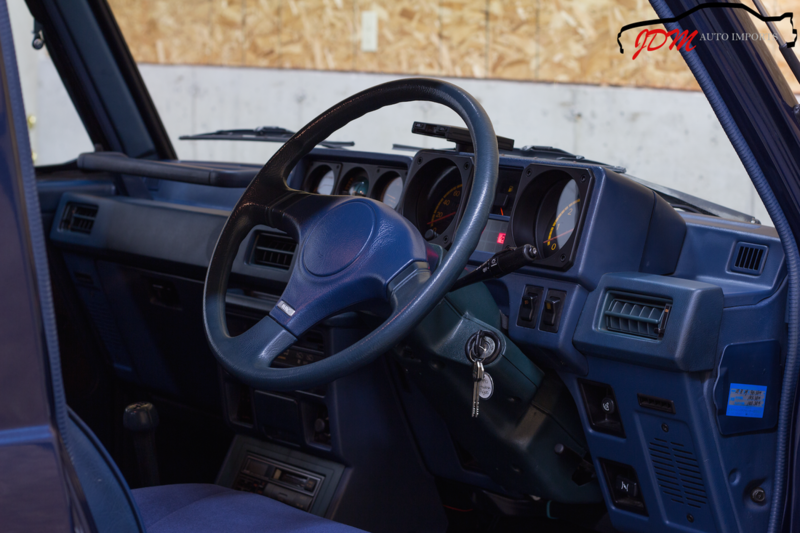 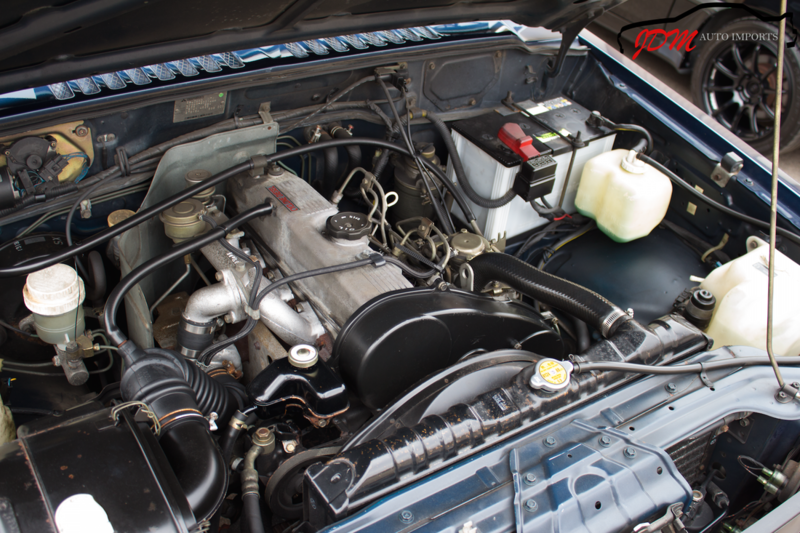 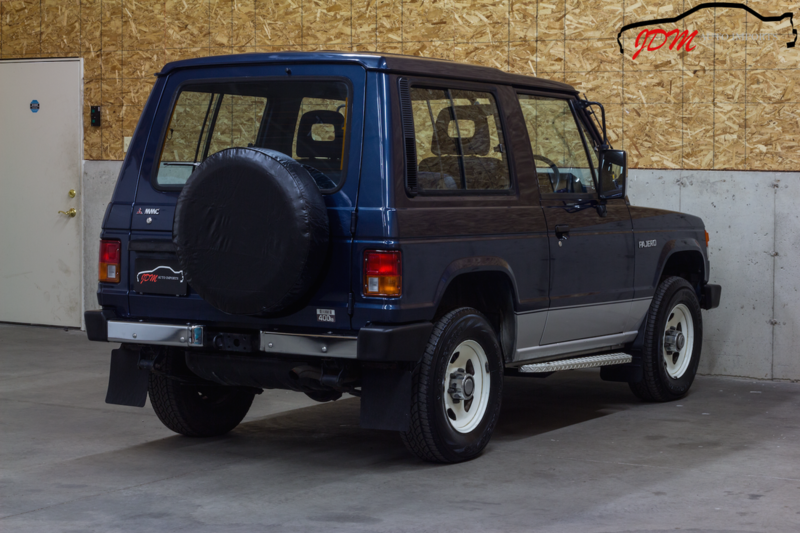 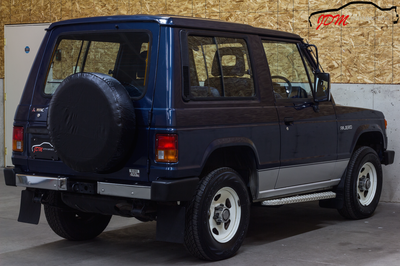 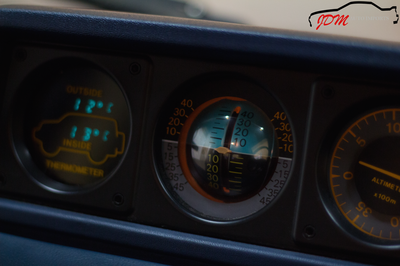 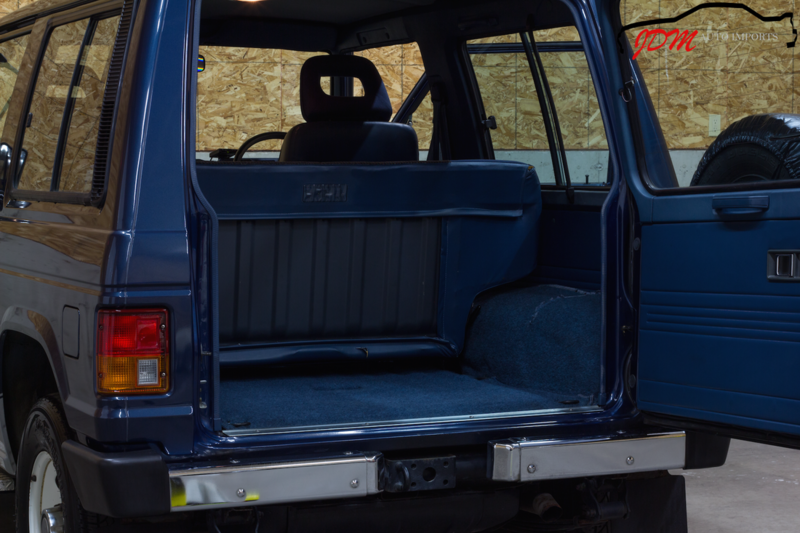 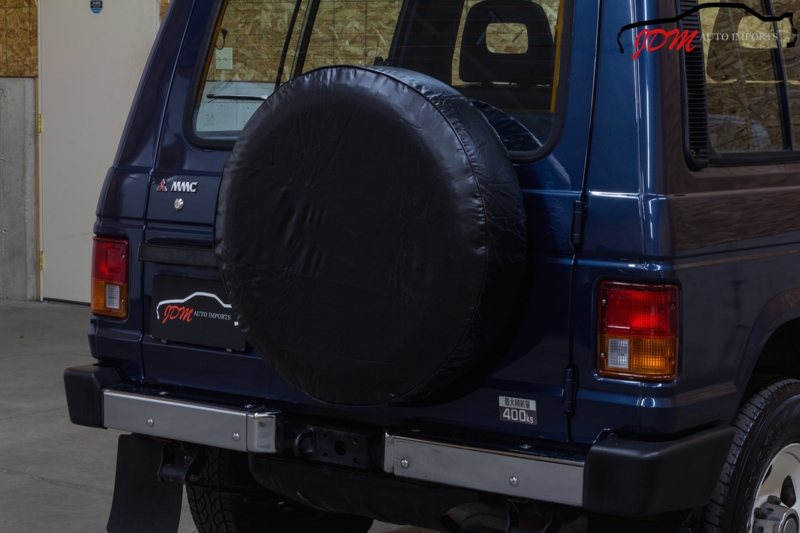 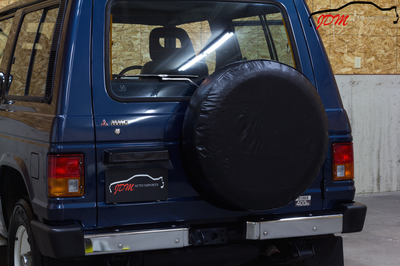 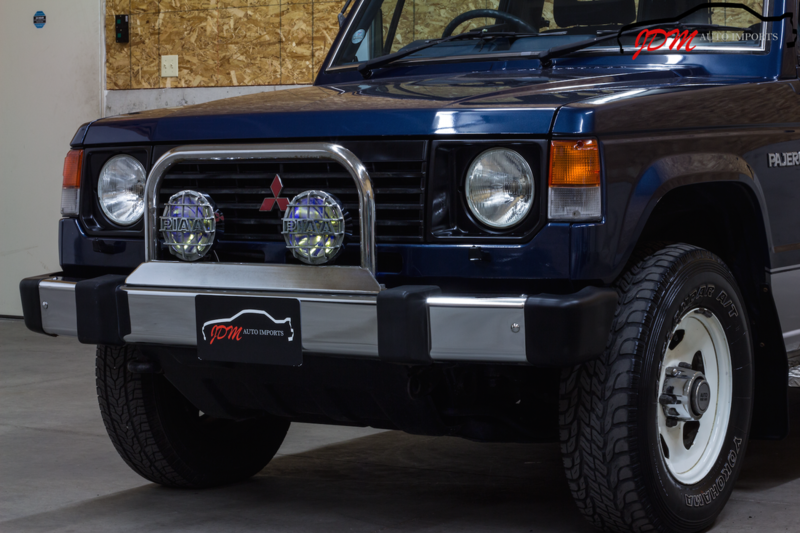 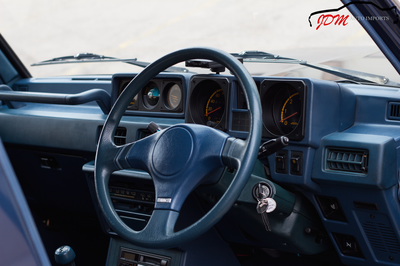 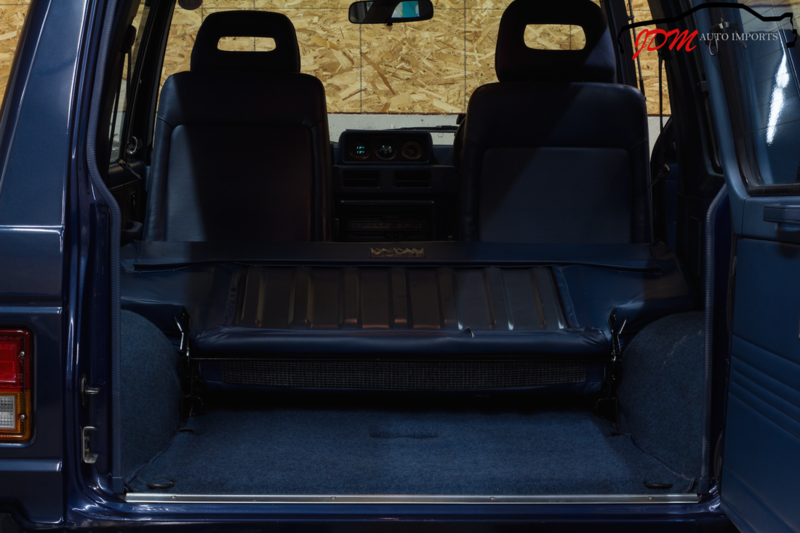 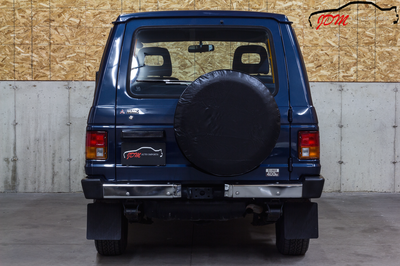 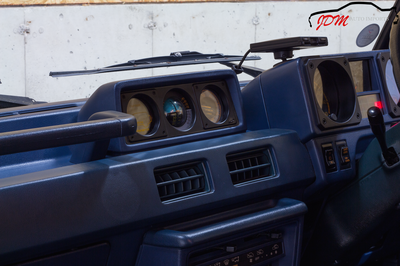 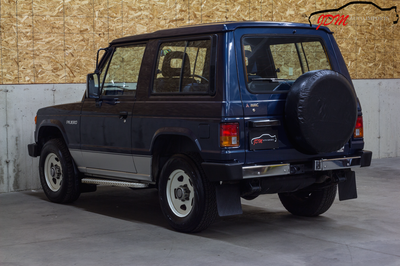 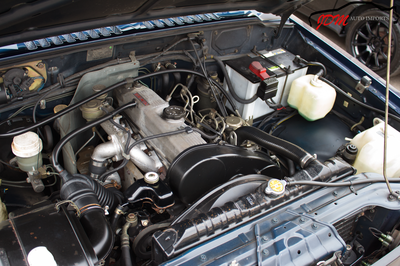 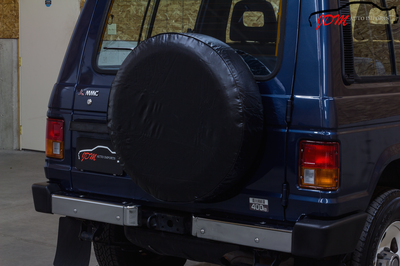 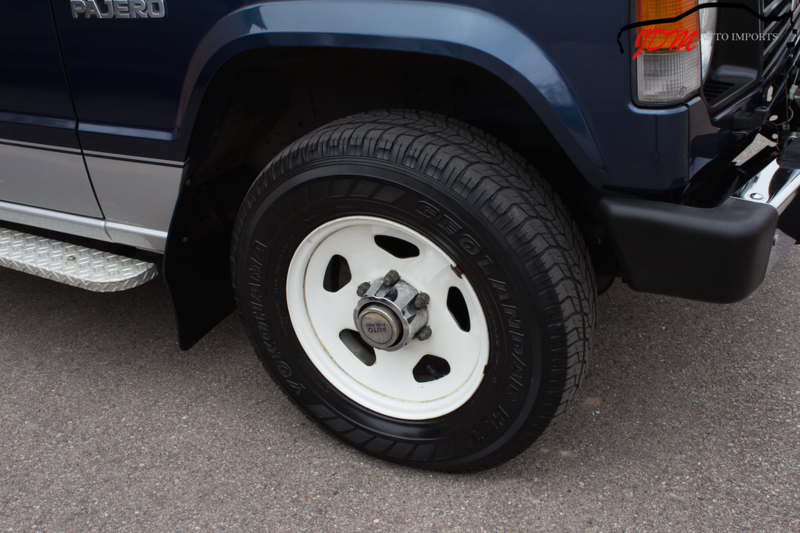 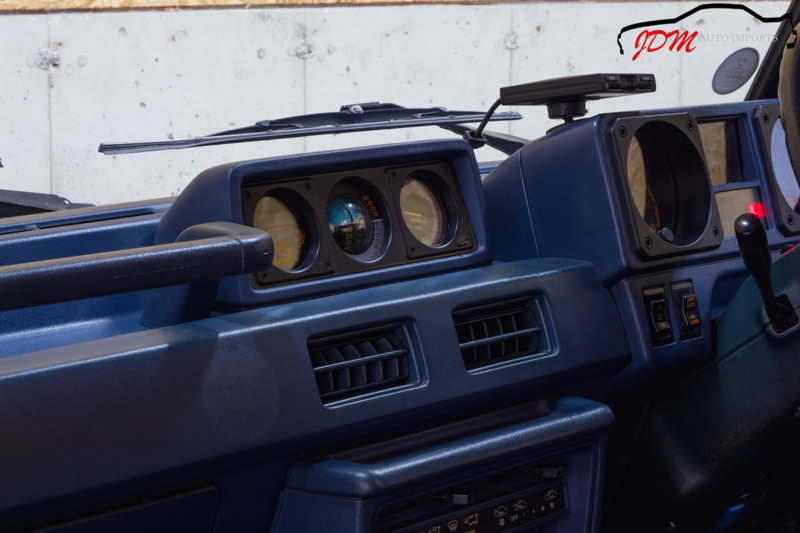 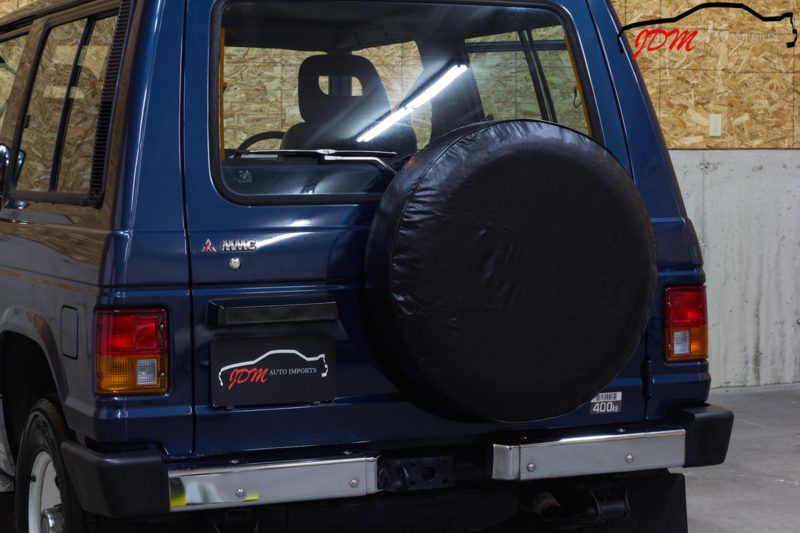 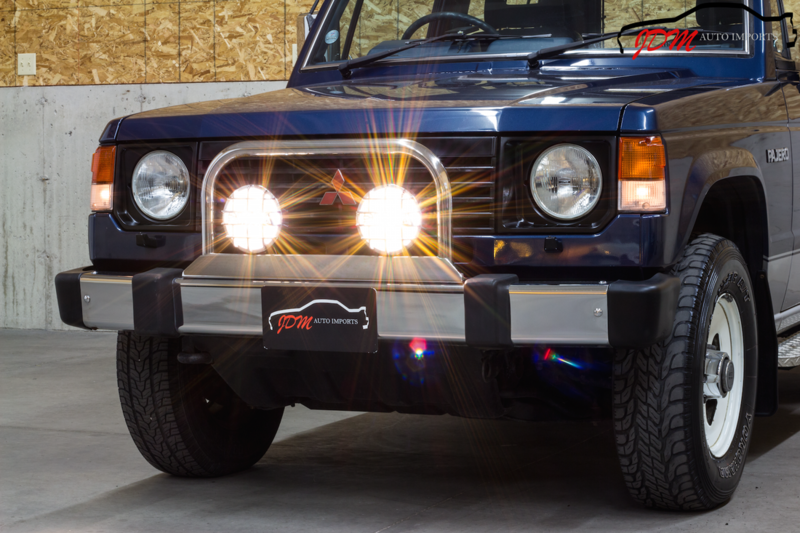 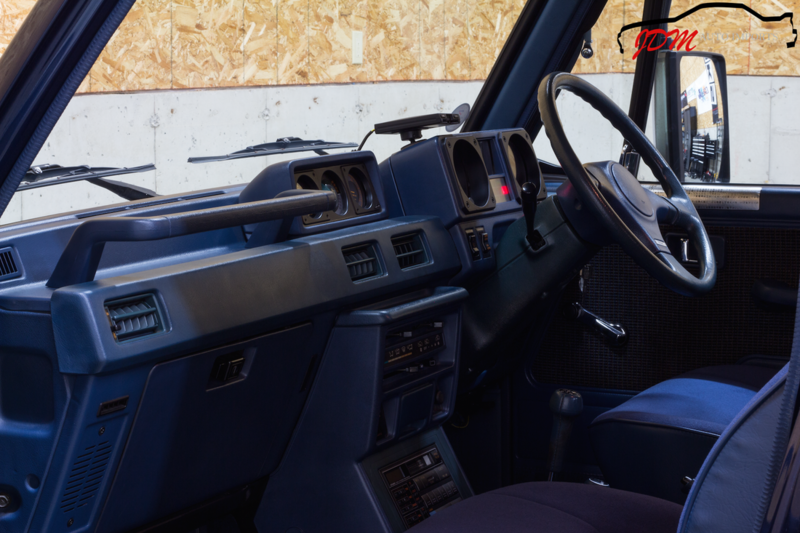 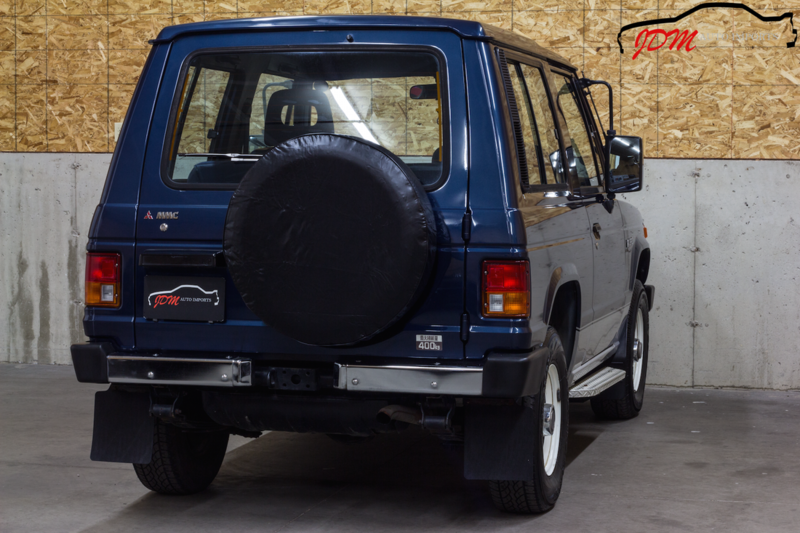 It was designed with features that had previously not been available on Japanese 4x4s, such as a turbocharged diesel engine, independent double wishbone torsion bar spring suspension, and suspension seating. 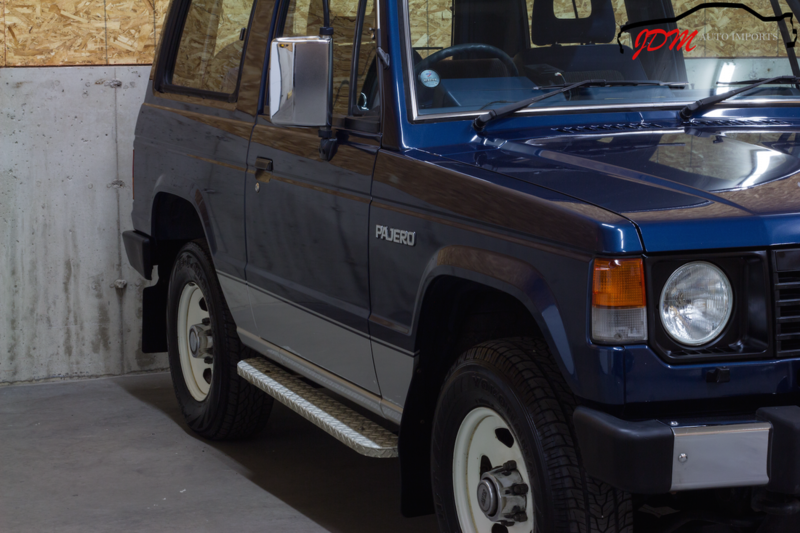 The Pajero quickly became known for its off-road capabilities, entering the world of motorsports, as well as being adopted for UN Peace Operations. 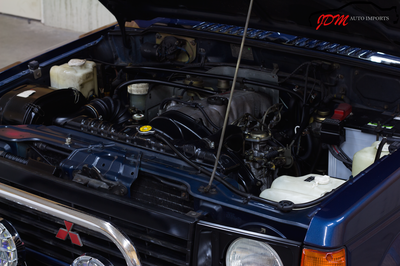 The Pajero is the most successful vehicle to compete in the world famous Dakar Rally, as well as taking a staggering 10 victories at the annual Australasian Safari. 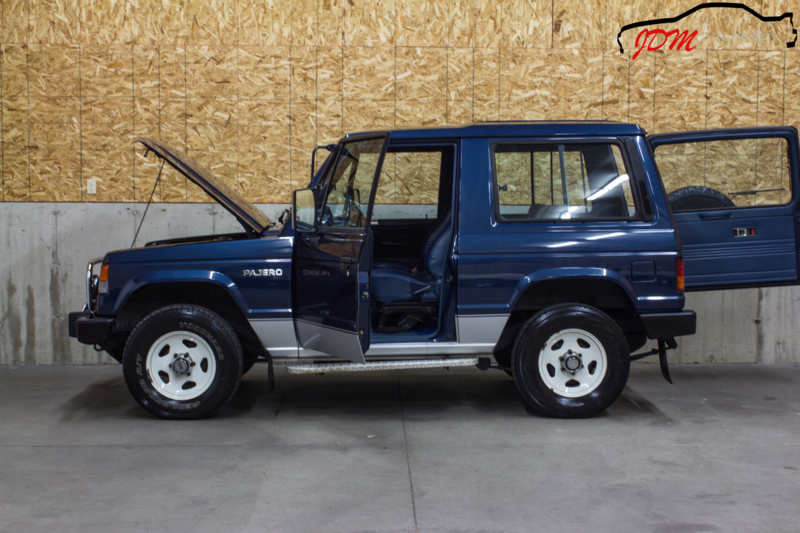 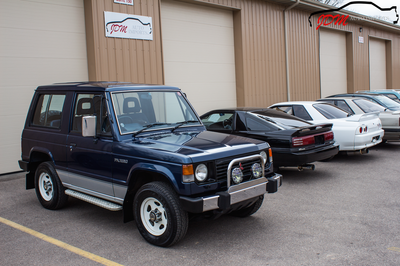 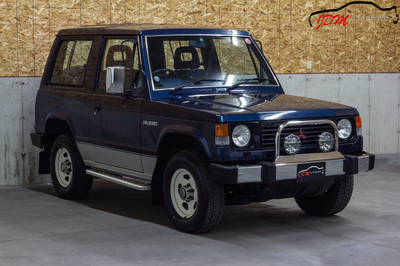 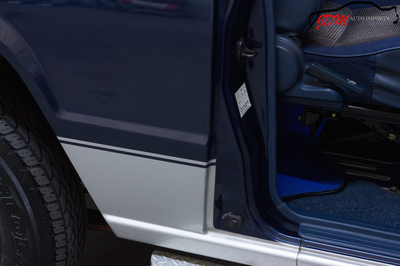 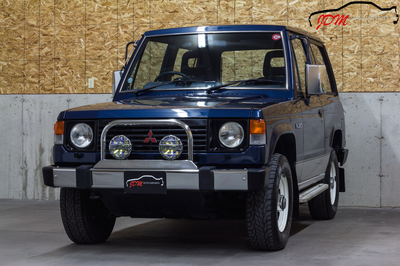 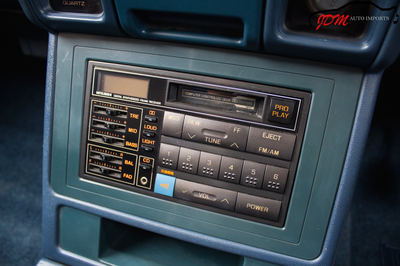 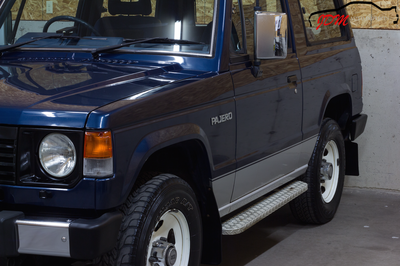 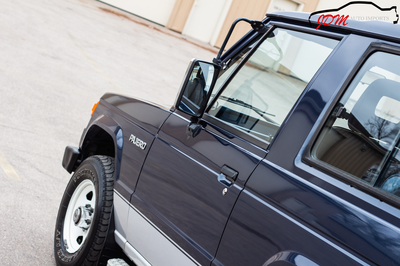 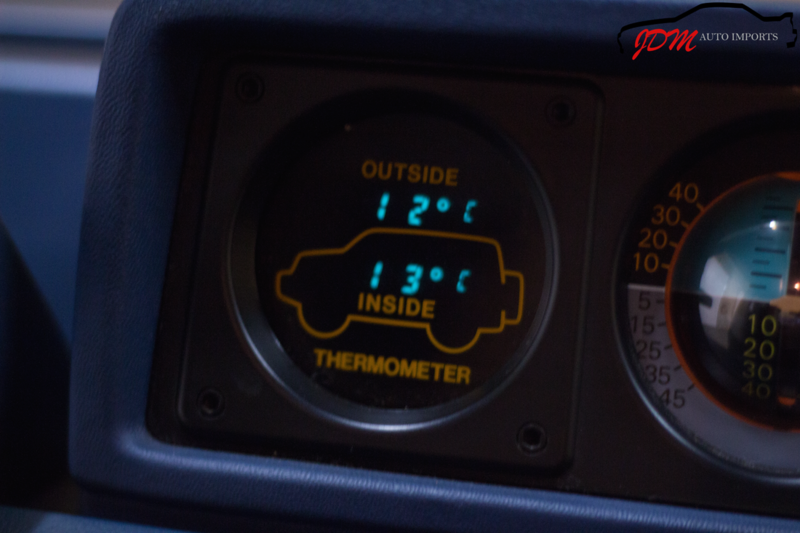 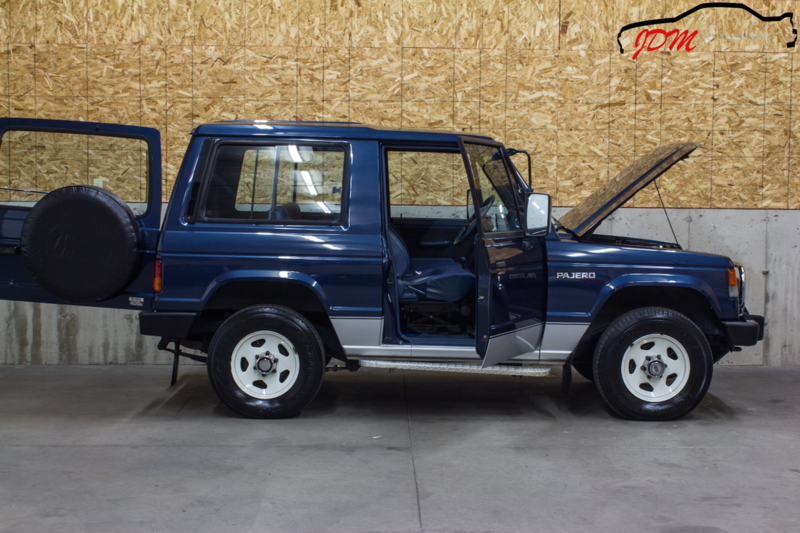 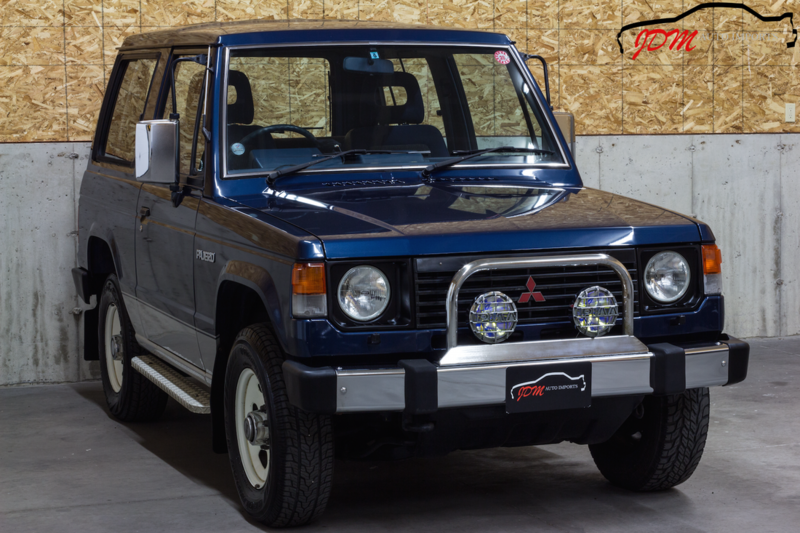 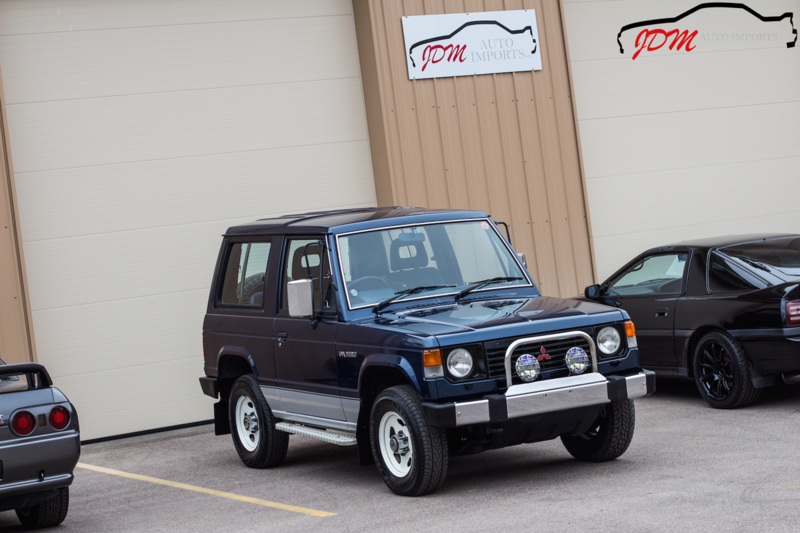 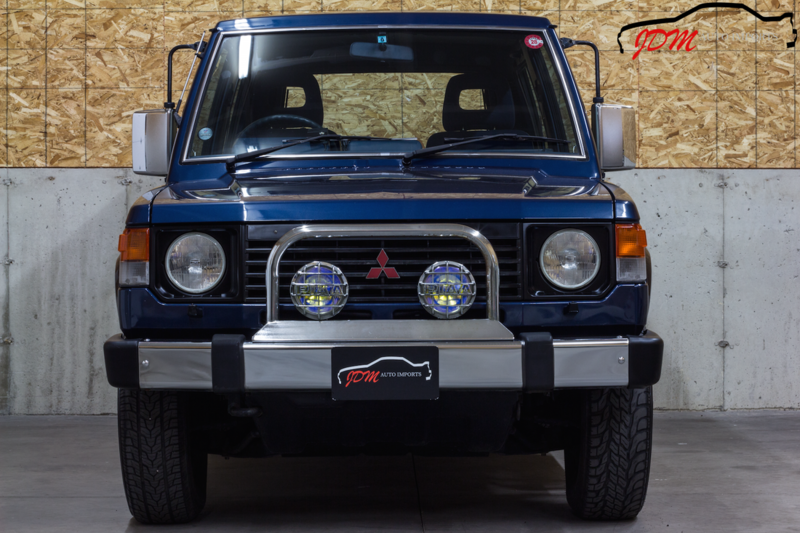 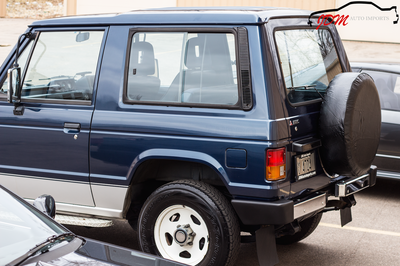 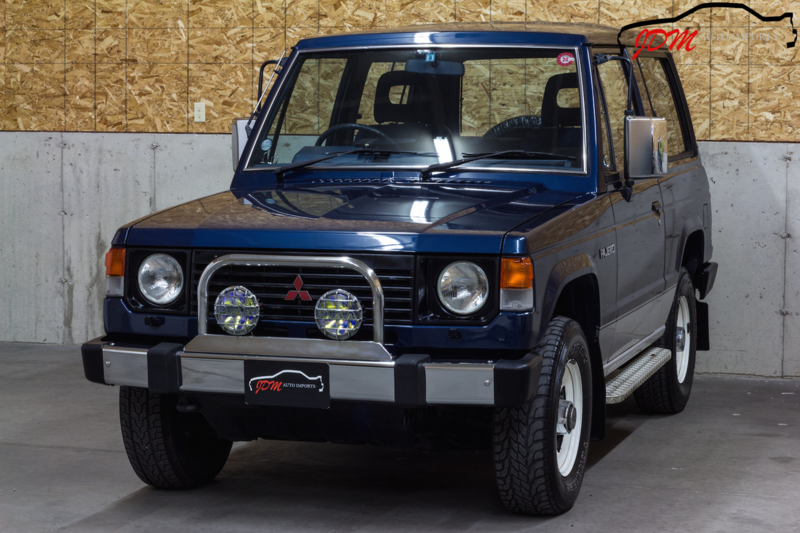 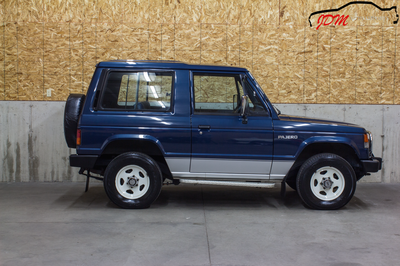 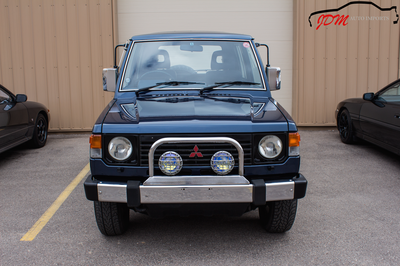 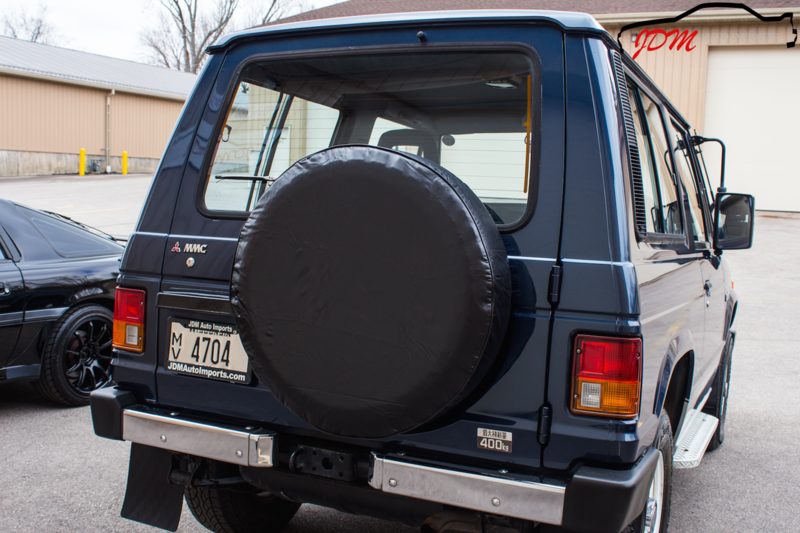 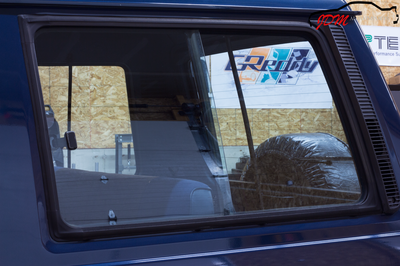 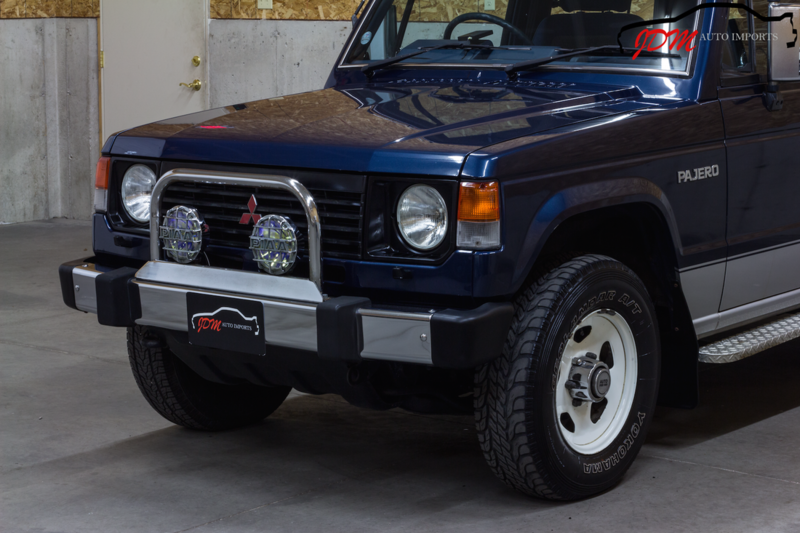 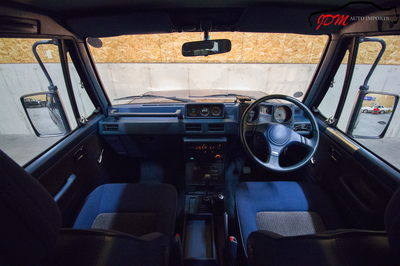 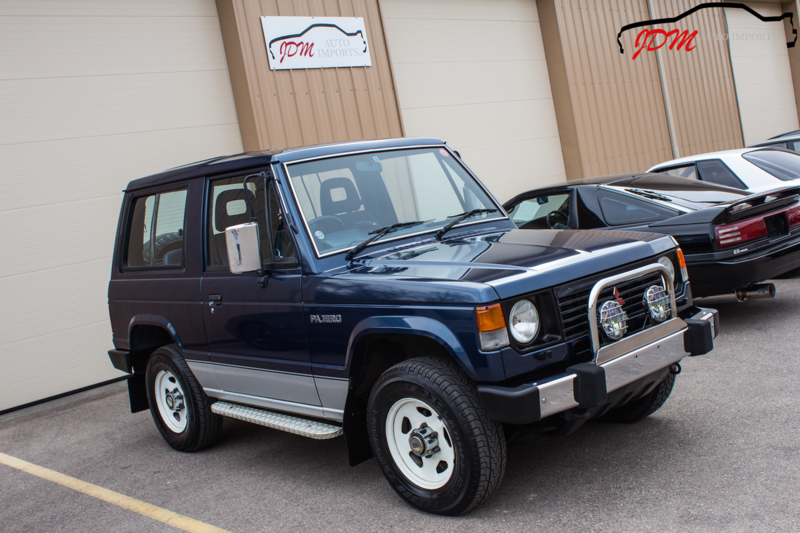 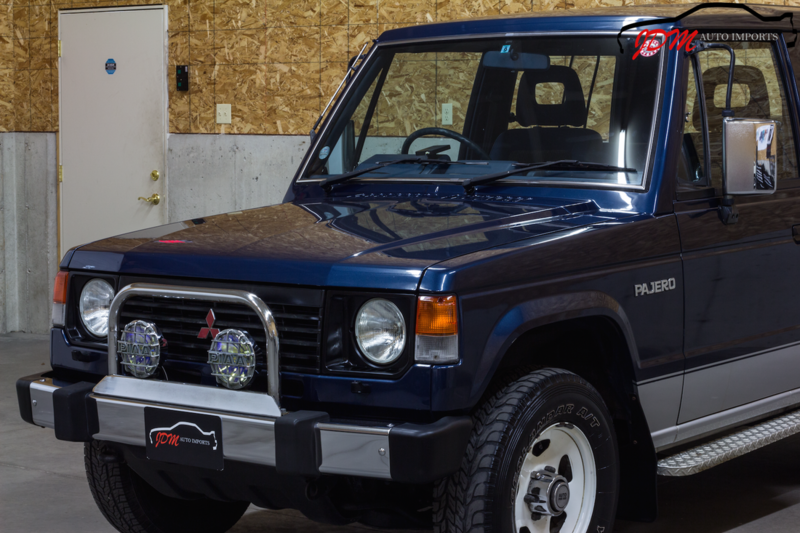 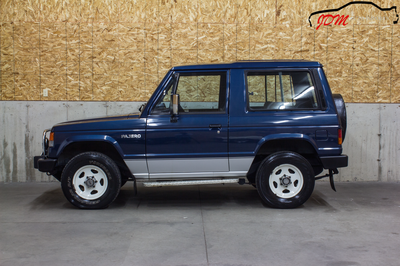 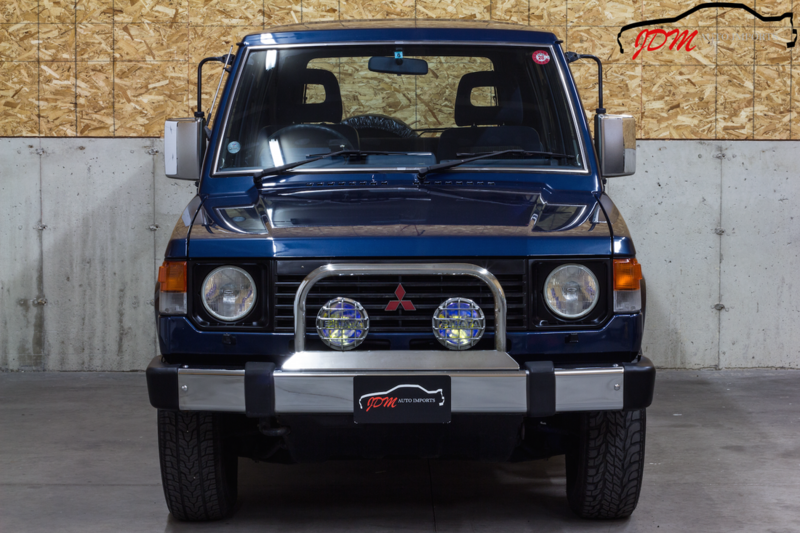 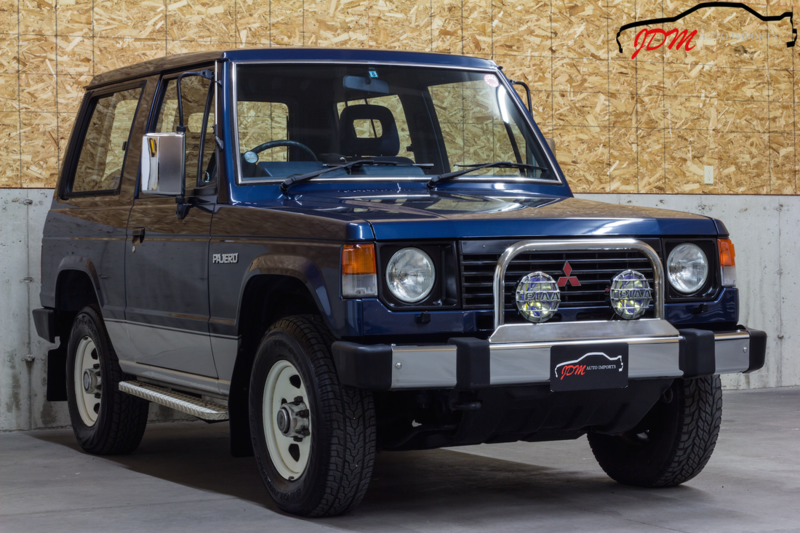 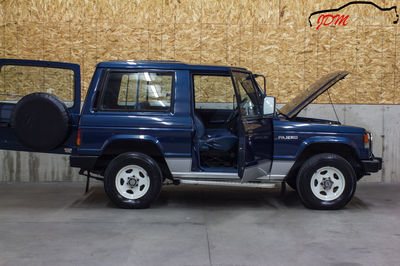 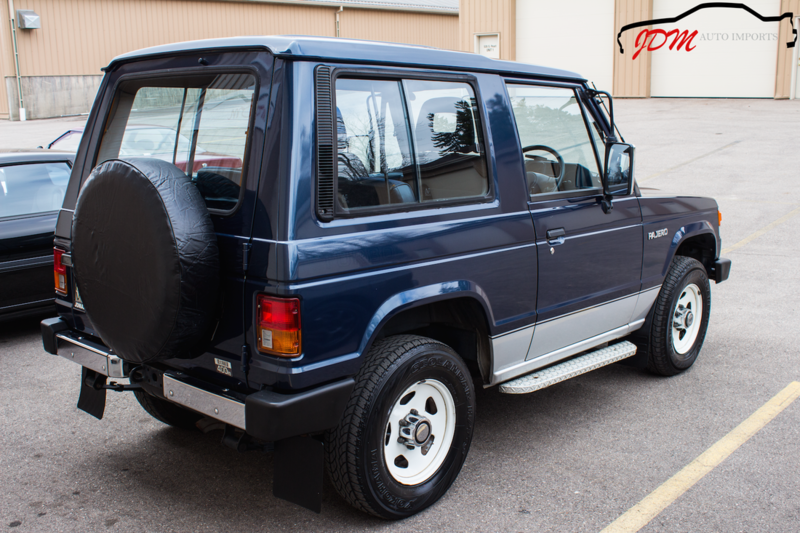 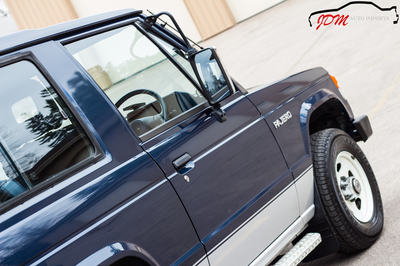 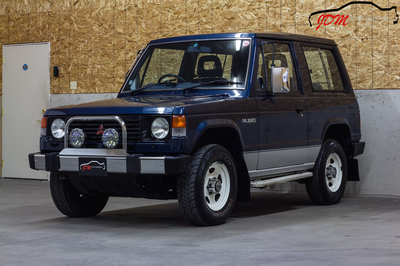 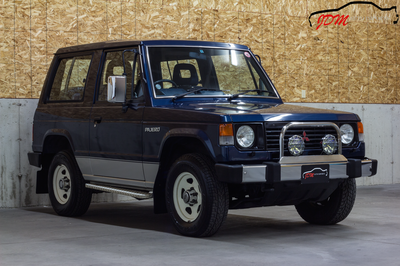 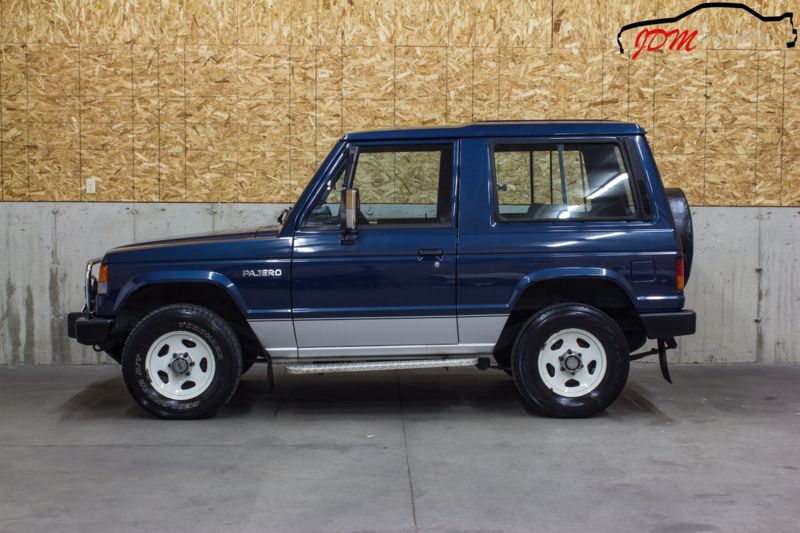 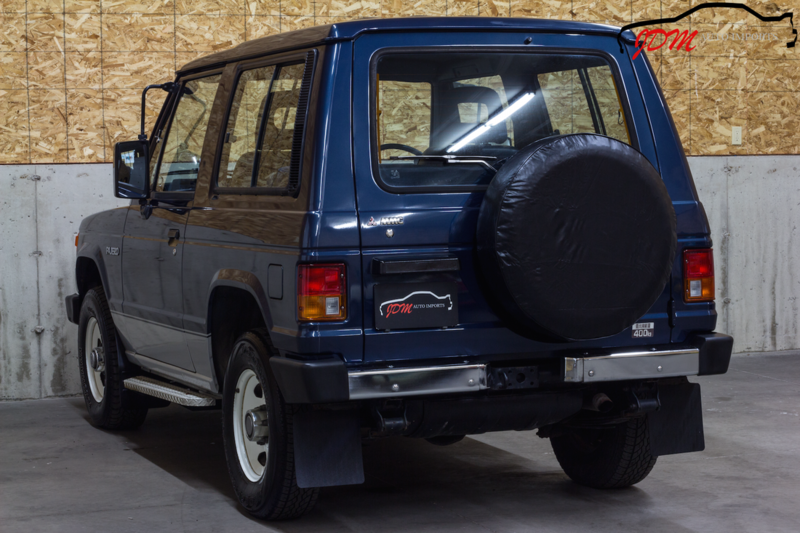 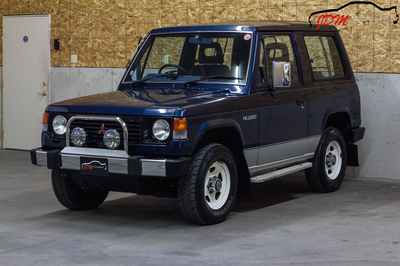 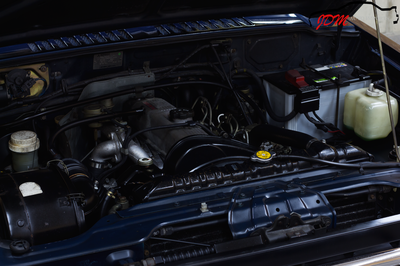 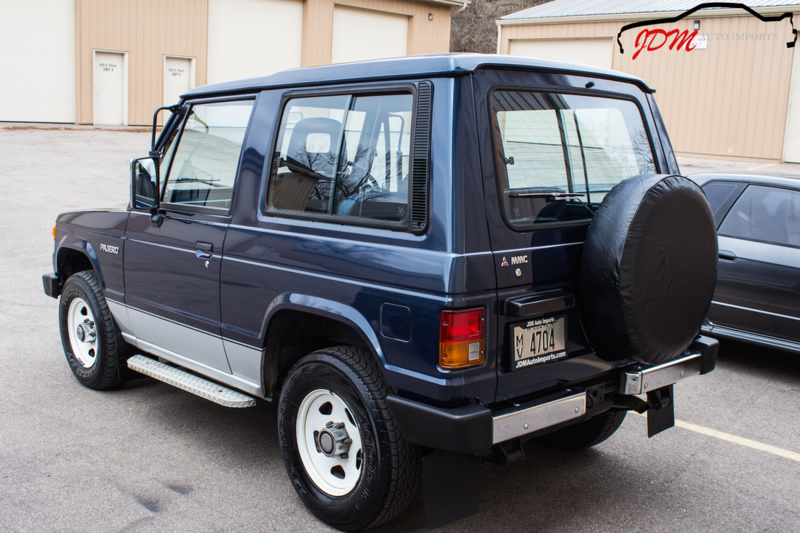 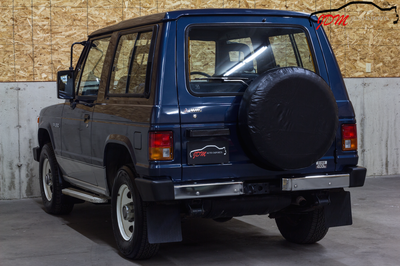 This particular 1990 Mitsubishi Pajero XL is in unbelievable condition, it is gorgeous! 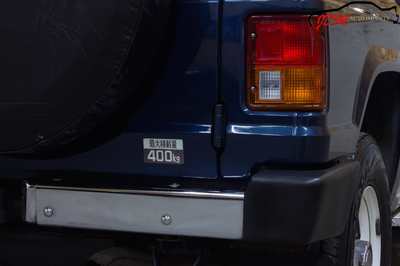 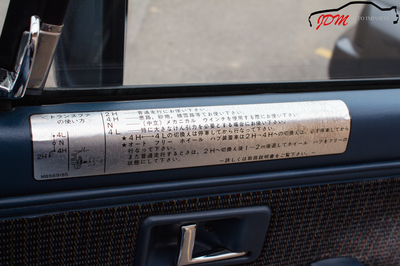 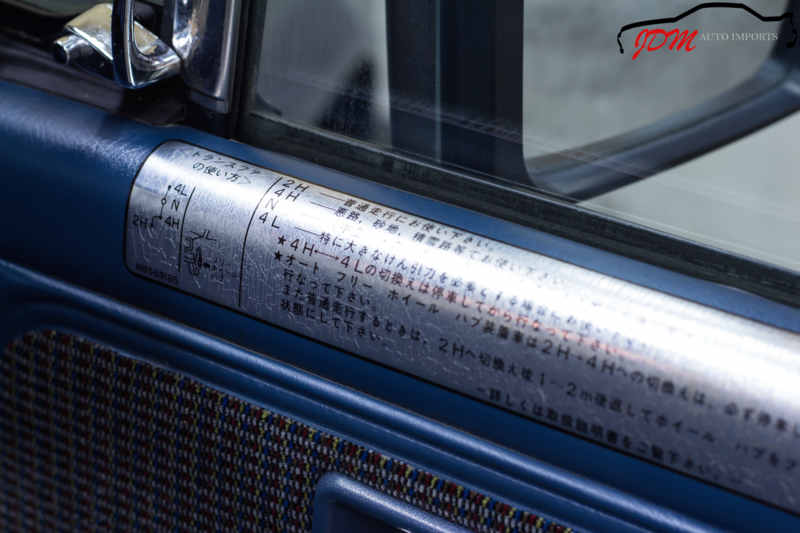 Having only one owner during its life in Japan, it is obvious this vehicle was a source of great pride. 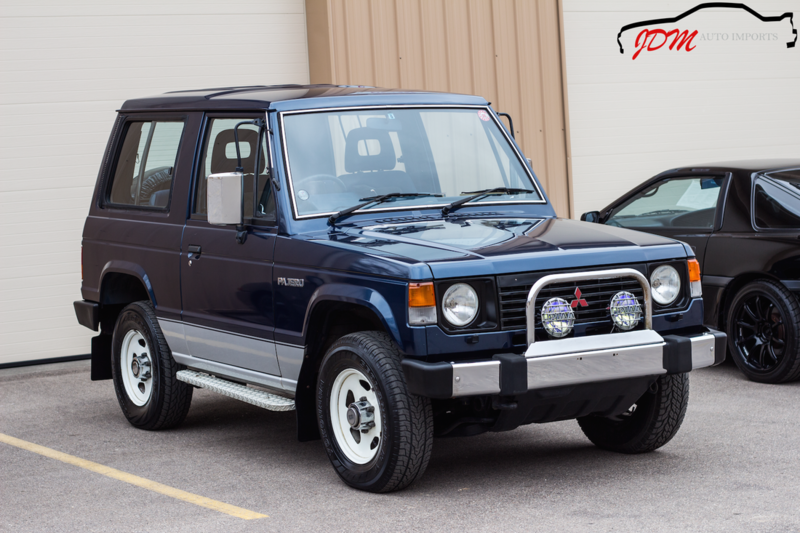 Well maintained and cared for, this is surely one of the best left in existence. 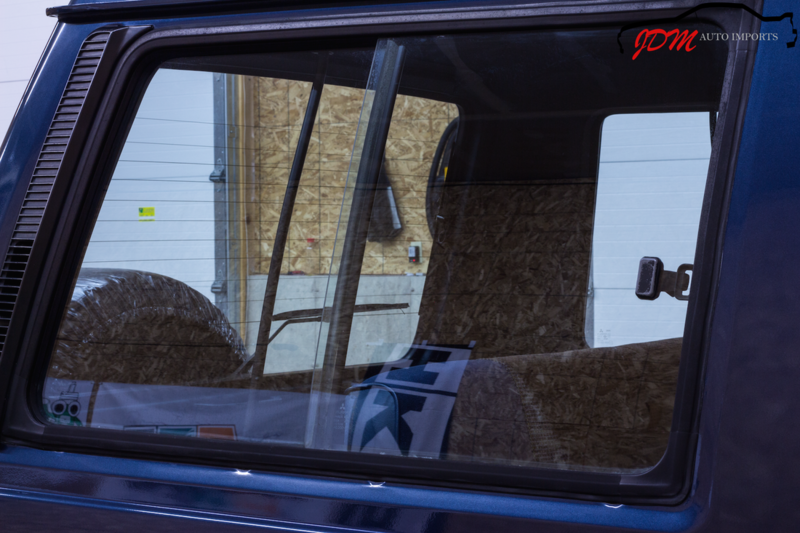 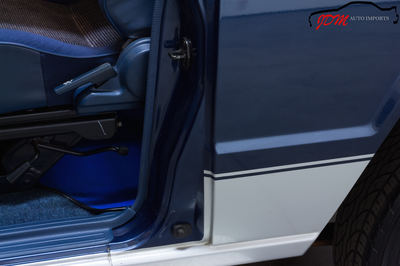 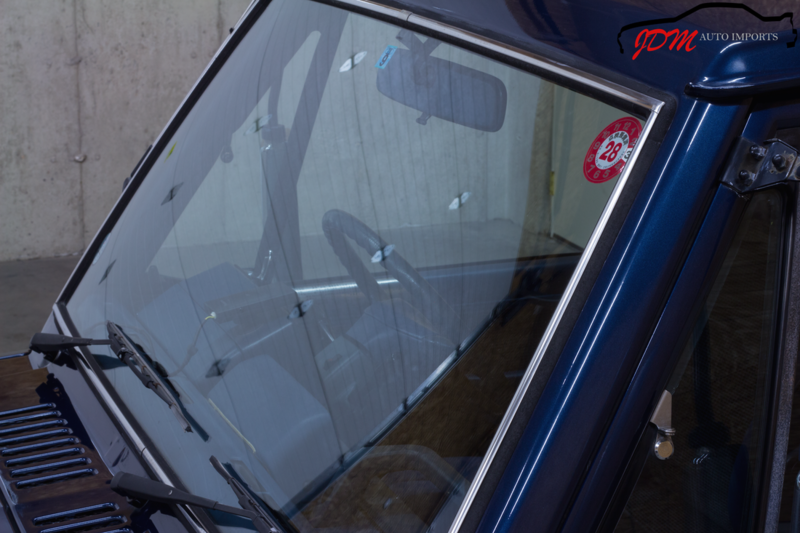 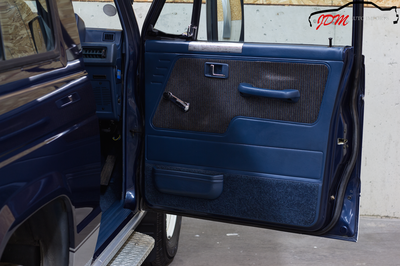 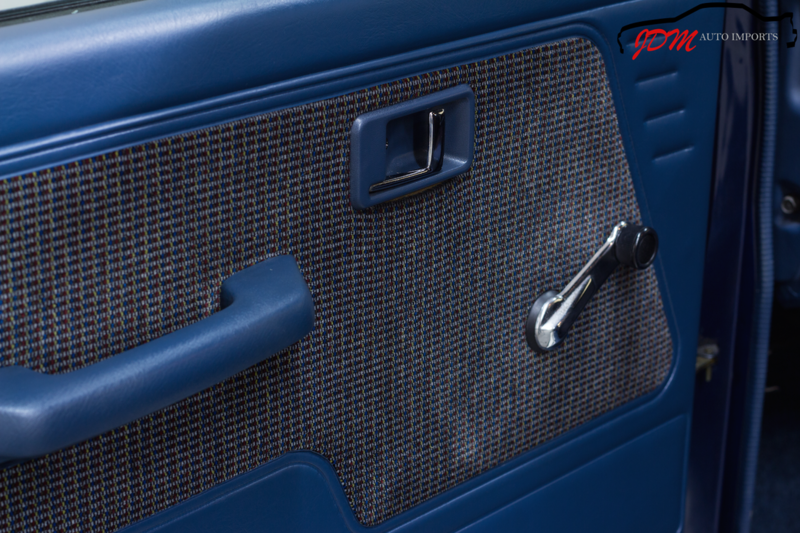 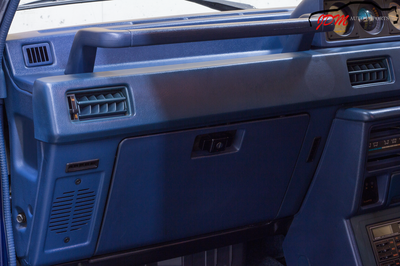 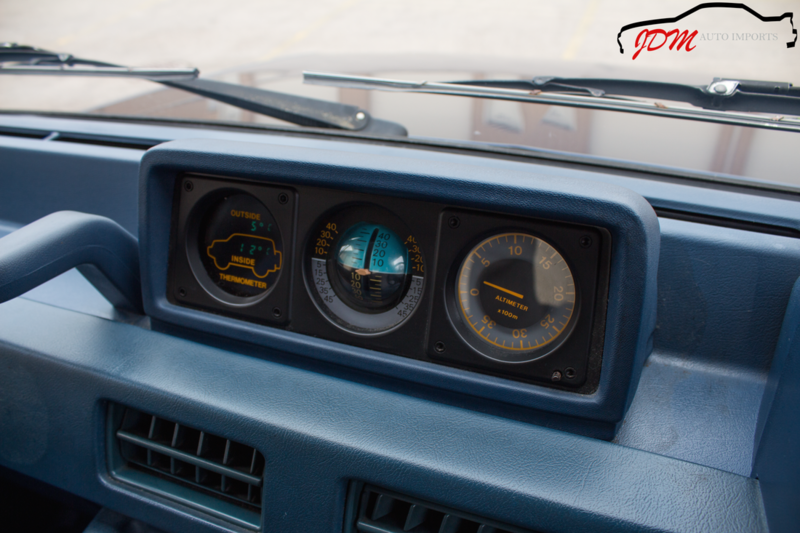 As you can see from the extensive photos and video walk around, the body and original Baltic Blue Metallic two tone paint is in exceptional condition, showing a beautiful mirror reflection. 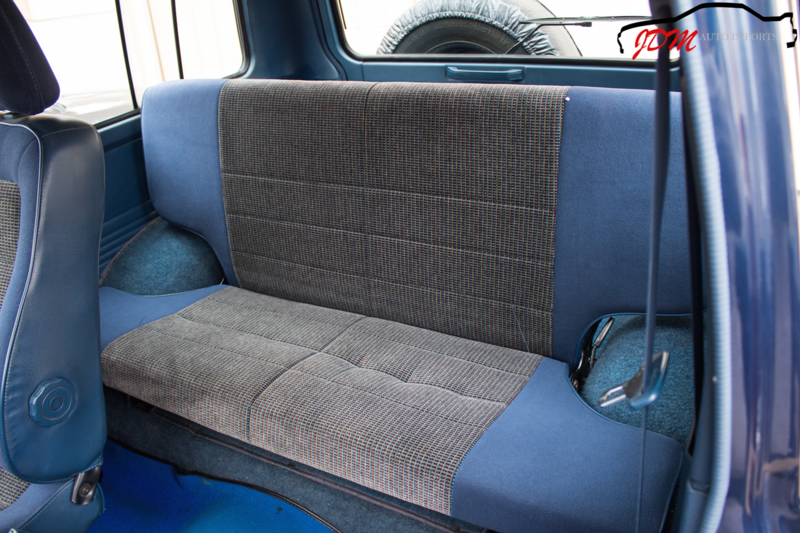 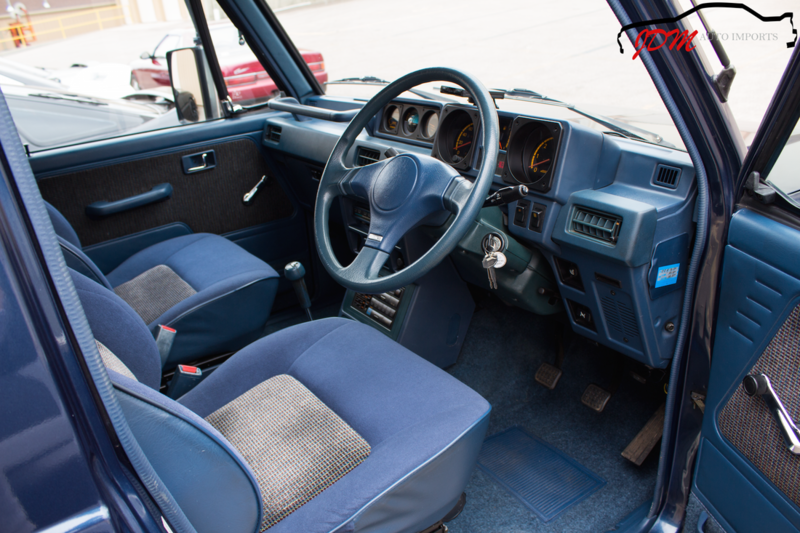 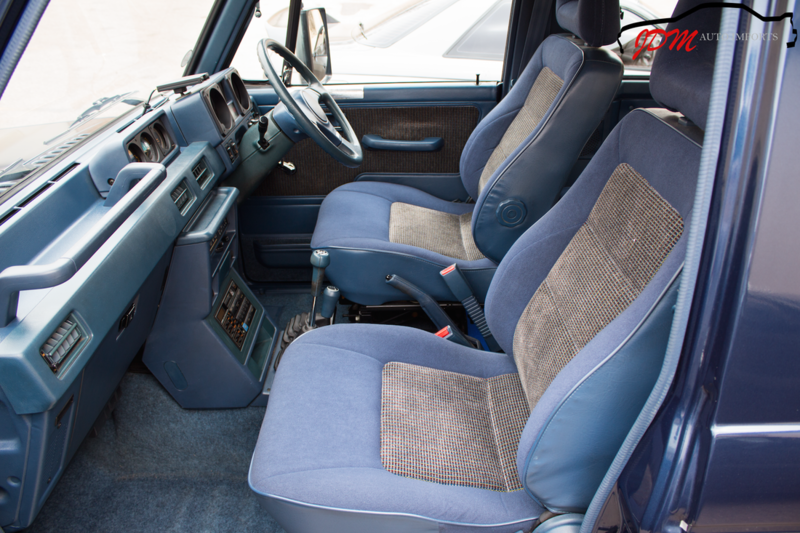 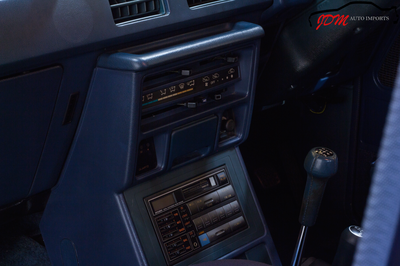 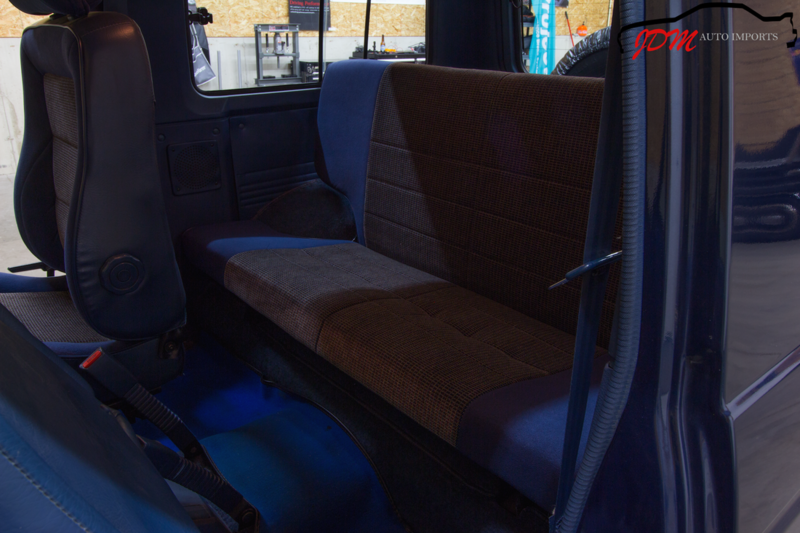 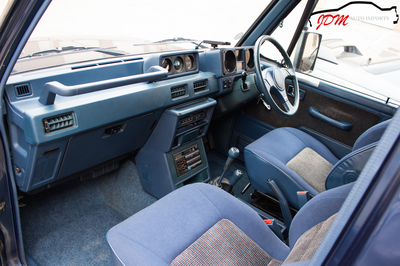 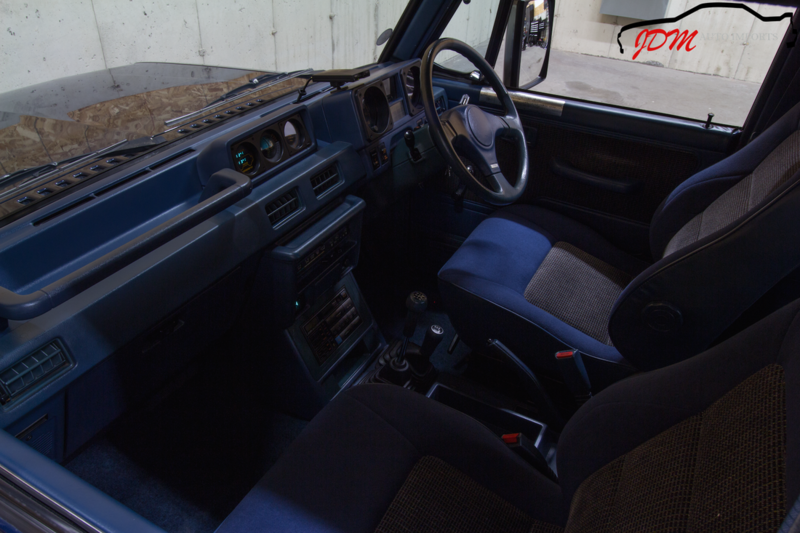 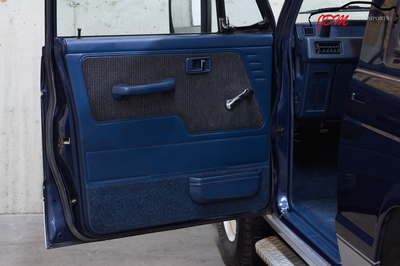 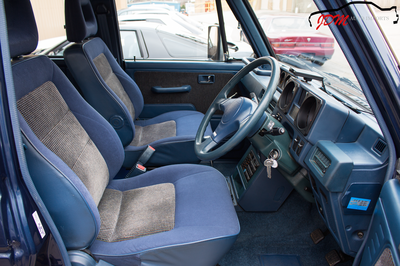 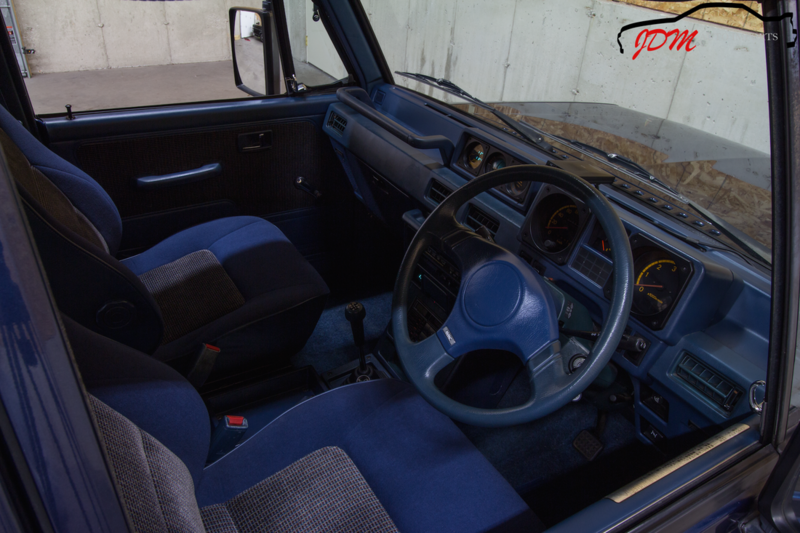 The interior is also in excellent shape, very clean, and hardly looks touched. 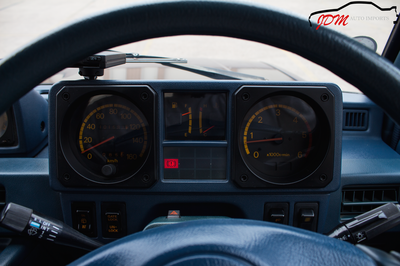 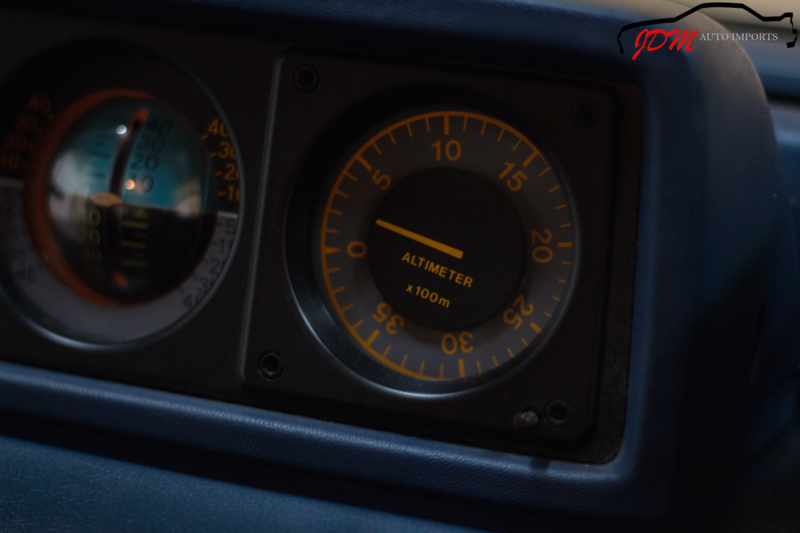 The reliable 4D56 turbocharged diesel engine starts enthusiastically on command. 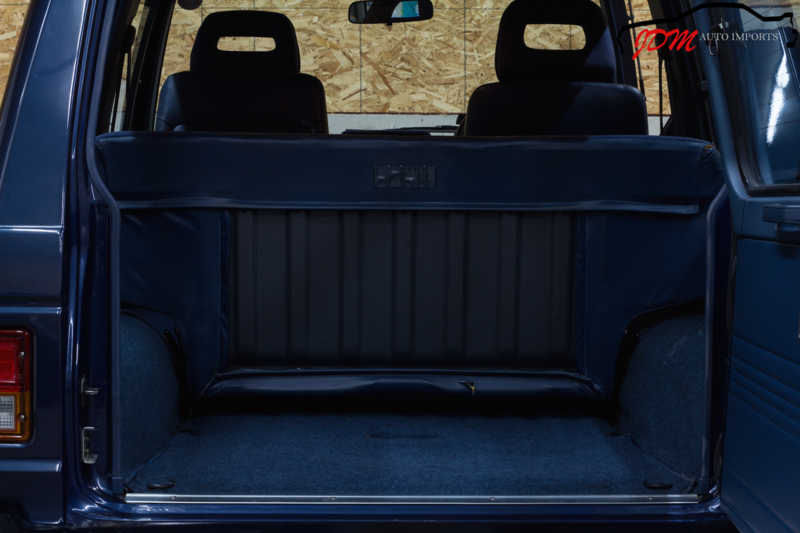 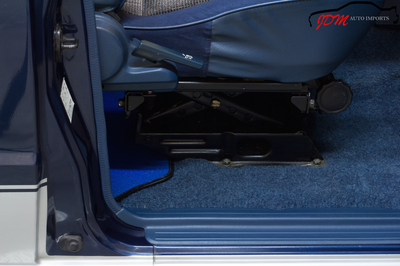 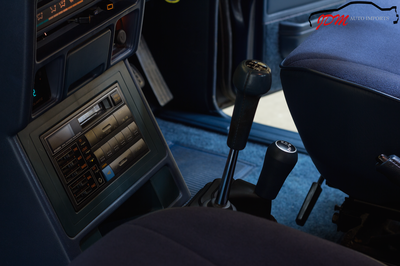 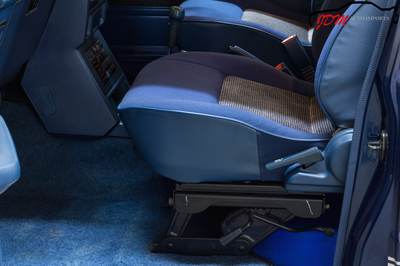 The shifting, braking, and steering is tight and responsive, while the cabin suspension seating provides a comfortable ride. It is very enjoyable to drive, and would make an excellent daily driver, off-roader, or weekend show car.